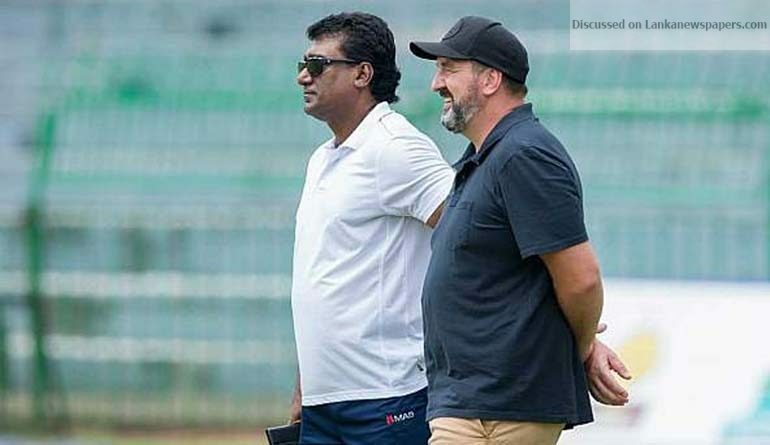 Not many had heard about Tim McCaskil when Sri Lanka’s Head Coach Chandika Haturusingha put in a paper to Sri Lanka Cricket asking the board to hire the Australian on a short-term consultant basis. McCaskil, who is the High-Performance Manager at Cricket Victoria, had not played any First Class cricket, but Hathurusingha wanted to address an urgent need. Several Sri Lankan fast bowlers had faced injuries in recent times and McCaskil was brought in with the intention of try and address the issue. As Sri Lanka concluded an eight-day residential training camp in Kandy, McCaskil explained what he had been trying to do. “We are mindful that they are just about to go into a series so we need to work on how they feel – do they feel strong at the crease, how they are feeling the ball comes out and stuff like that. Any conversation is on the game and not confusing them all of a sudden thinking that they have to do technical stuff lead up to a series,” McCaskil told Cricbuzz. Sri Lanka’s fast bowlers Shehan Madushanka and Nuwan Pradeep were ruled out of the upcoming tour to West Indies with hamstring injuries while Suranga Lakmal has just returned to the side after a side strain sidelined him for four weeks. The experienced Angelo Mathews will only play as a batsman after a series of hamstring, calf and ankle injuries. “We have looked at videos of some players. In the background, we have put in some reports. What I have seen and what we look to do to assist them to return to play. We have got another session on Friday with the coaches and we will be going through some of that information with the coaches. Put in those plans so their return to play can be managed properly.